Tanzania’s leading telecommunication company renown for driving digital lifestyle transformation, tiGO, has announced free WhatsApp services for its 10 million users. 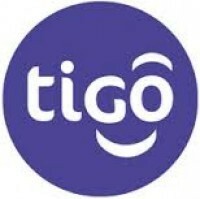 Making the announcement in Dar es Salaam on 2nd February 2016, Gutierrez said all Tigo customers subscribing to the company’s weekly and monthly internet will henceforth be entitled to free WhatsApp service. weekly or monthly packages will be eligible to enjoy FREE WhatsApp. This of course, is for customers with data enabled devices. We want to encourage our non-smartphone user customers to acquire highly discounted smartphones sold in Tigo shops to be able to enjoy this new offer,” Gutierrez said. The general manager further clarified that the service will be available on iPhone, Blackberry, Android and Nokia Symbian 60-phones. The free Tigo WhatsApp joins a long list of other ‘firsts’ that the company has pioneered in its digital innovations. They include the recent launch of 4G LTE networks that gives Tigo customers high speed internet connection which is five times higher than the technology available in the Tanzanian market. Tigo in 2014 also became the first telecom in Tanzania to provide free Facebook in Kiswahili Kiswahili ; the first to launch a mobile money App for Android and iOs users and the first in East Africa to introduce cross-border money transfer with currency conversion. In the past three years the company has launched over 500 network sites bringing to over 2,000 the total number of its network sites countrywide. It plans to double this investment by 2017 in terms of coverage and additional capacity networks for deeper penetration in rural areas. Tigo in 2015 announced an increased annual investment of US $ 120 million per year on infrastructure improvement and expansion which is 20% higher than Tigo’s annual spending in the past three years.